Style Notes | Check out this month's fashion starlet! 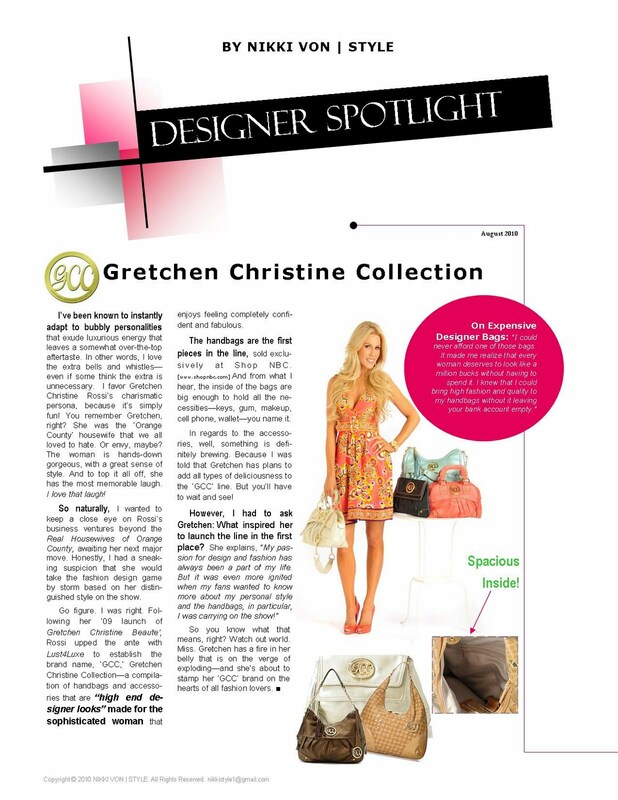 I am featuring the recently launched Gretchen Christine Collection (GCC) designed by the Orange County Housewife herself, Gretchen Rossi. GCC launched in July 2010. Click the image to enlarge, or write to request a copy.